Connect replacement speakers to your car's factory audio system without cutting the plugs from your factory speakers.. 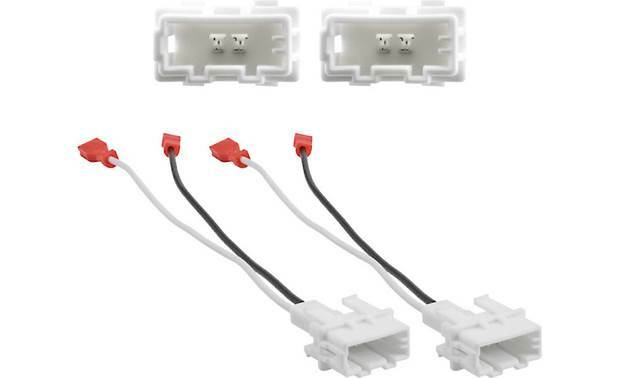 These harnesses allow you to plug your new speakers into the factory connectors present in your vehicle's speaker openings. Sold in pairs. Warranty: 1 year. Searches related to the Metra 72-7302 Speaker Wiring Harnesses For select 2014-up Hyundai and Kia vehicles.